Equestrian sport’s Irish governing body is a finalist for two awards in the 2019 Sport Industry Awards which are organised by the Federation of Irish Sport. Horse Sport Ireland has been shortlisted in two categories: ‘National Governing Body of the Year’ and ‘Best use of Social media by an Organisation‘. The Irish Sport Industry awards recognise and reward excellence in the business of sport, whilst simultaneously highlighting the contribution of sport to Ireland. Ireland’s Equestrian athletes have had phenomenal success over the past 12 months, with 12 medals being secured by Ireland’s senior and youth athletes at World and European Championship level. 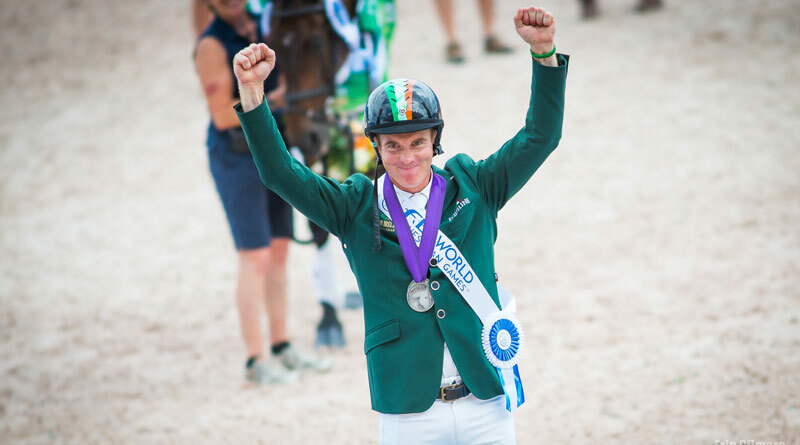 Ireland’s most notable success was undoubtedly that of the senior eventing team which won team silver and individual silver at the World Equestrian Games, and in doing so became the first Irish team to qualify for the Tokyo 2020 Olympics. The results follow a review of Horse Sport Ireland published in 2017, which made several recommendations and led to a restructure of the organisation. The Irish Sport Horse industry contributes more than €816 million to the Irish economy each year. The competition sector accounts for €168 million expenditure and a total of €103 million is spent within the leisure sector. Last year Horse Sport Ireland established a new initiative called the ‘International Eventing and Show Jumping Bonus Challenge’ with the aim of encouraging more athletes, both national and international, to compete at Ireland’s international competitions. The ‘National Governing Body of the Year’ award recognises the national governing body – be it small, medium or large – for outstanding performance over the course of the last 12 months, be it from a good governance perspective or promotion of the sport and it’s benefits. The ‘Best Use of Social Media by an Organisation’ award recognises a consumer facing organisation or a sporting body which has sport at the heart of its content, and which uses commercial partnerships and activations, where relevant, to drive forward the reach and achieve business objectives. Horse Sport Ireland established the ‘Team Ireland Equestrian’ brand in 2009 to unify all FEI equestrian sports under the one brand and ultimately to help increase the profile of Ireland’s equestrian sports teams. Its social media following on Facebook, Twitter and Instagram has grown exponentially year-on-year since its inception. Horse Sport Ireland provides followers of Team Ireland Equestrian with the latest results of Irish athletes competing around the world, up-to-date industry news and exclusive interviews and content relating to Ireland’s high performance athletes. Horse Sport Ireland’s Facebook pages (Horse Sport Ireland, Team Ireland Equestrian and Irish Horse Gateway) have a combined following of more than 115,250 people. Horse Sport Ireland CEO Ronan Murphy said the nominations reflected the dedication, enthusiasm and hard work of the Horse Sport Ireland team, board, affiliate organisations and stakeholders. “While Horse Sport Ireland has undergone an intensive programme of change over the past year, we are looking forward to leading a new strategic focus for Irish equestrianism into the future. We are particularly pleased that the important and hugely significant contribution which the Irish Sport Horse sector makes to the Irish economy has been recognised”. In all 14 awards will be distributed at the 2019 Sport Industry Awards on April 15. The winners will be determined by a judging panel drawn from both the business and sporting community.